One rule of real estate that buyers and sellers ignore at their peril: Ghosts don't move out. 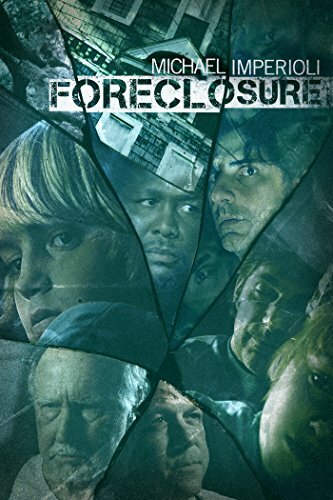 The U.S. mortgage crisis forms the ingenious foundation of Foreclosure , Richard Ledes' gripping new horror film about one family struggling to make a go of it in a new home. It will come to Digital Download on Feb. 3, 2015, and DVD from Virgil Films on Feb. 10, 2015. Bill Landopolous (Michael Imperioli of The Sopranos and Goodfellas), his son Steven (Spencer List, Black Dog, Red Dog) and his father-in-law Ray (Bill Raymond, Damages, Michael Clayton) move into the Queens, New York, home of their recently deceased relative Cal, who took his own life. The three hope to put their cares behind them and start afresh. But things get off to a shaky start when a local police officer (Matt Servitto, The Sopranos) points out all the numerous foreclosures, bank-owned properties and short sales that have depopulated the once-attractive neighborhood he patrols. Will such a desolate street be healthy for these three damaged people? At first, moving into the new (old) house turns out to be a tonic for the stressed-out Bill. He cleans out Cal's rank old refrigerator and spit-shines his business shoes. Bill even manages to tolerate the racist rants of his half-medicated, nearly senile father-in-law. But the rants, which begin as complaints about Bill's Greek heritage, become an ever-present echo of the past when young Steven, exploring the dank basement, discovers an old black-and-white photograph of a lynching. Soon, Steven and his father and grandfather come to suspect that it's not just the three of them living in the house. About Virgil Films - Virgil Films & Entertainment was founded in 2003 by Joe Amodei to acquire, market, and distribute DVD, TV and Digital product in the theatrical feature film, documentaries, special interest and sports categories. The company has built partnerships with OWN, Sundance Channel Home Entertainment, National Geographic Cinema Ventures, ESPN, MLB Productions, Morgan Spurlock's Warrior Poets and other high-profile entertainment brands since their inception. Releases from Virgil Films & Entertainment include the documentary Miss Representation; Todd Solondz's Dark Horse, the critically acclaimed documentary Bridegroom, the timeless Forks Over Knives, and the Oscar® nominated documentary Restrepo. They have also released the compelling Gun Hill Road, The House I Live In, A Brony Tale and others.Follow them on twitter: @virgilfilms | www.VirgilFilmsEnt.com.